iTunes Best of 2012 lists 4 Djinnworks Games! Apple just announced their best of 2012 iTunes apps list. 4 Djinnworks games are listed in the best of 2012 Top Paid apps list in various countries. 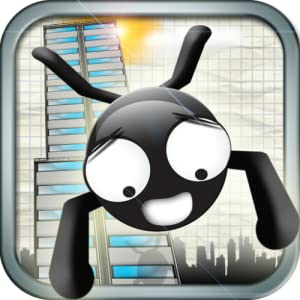 Stickman Base Jumper now available! Wingsuit – A big thank you! Djinnworks is expanding, welcome Heiko!!! App Store Rewind 2011 – Stick Stunt Biker! Line Birds now available for your android device! Line Birds now available for your Windows Phone 7! Stick Stunt Biker – Now finally available for your Android! Rope’n'Fly – From Dusk Till Dawn now available for free! Line Birds now #1 !!! Line birds now available for free! Line Jumper now available for free! Update: Line Jumper reached #2 in the US app store and #1 in various countries! RunStickRun! now available for free! RunStickRun! is now available for free for a few days only! Get it now until it is switched back to paid! 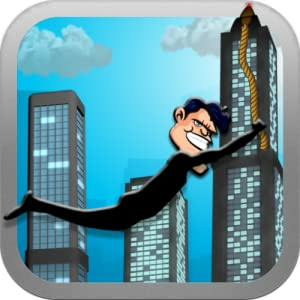 Line Jumper now finally available in the app store! .Djinnworks®, founded 2009 in Austria, develops and distributes software solutions and games for mobile devices, specialized in the iPhone (App Store), Android (Google Play), Windows Phone (Windows Marketplace), Amazon and MacOS market. Djinnworks games have been downloaded more than 130 million times and produced many games ranking constantly in the top 100 paid worldwide. Click here to view all of our games. Copyright 2009 - 2013 Djinnworks®. All Rights Reserved.